Pods get purple tip and suture when ready to shell. 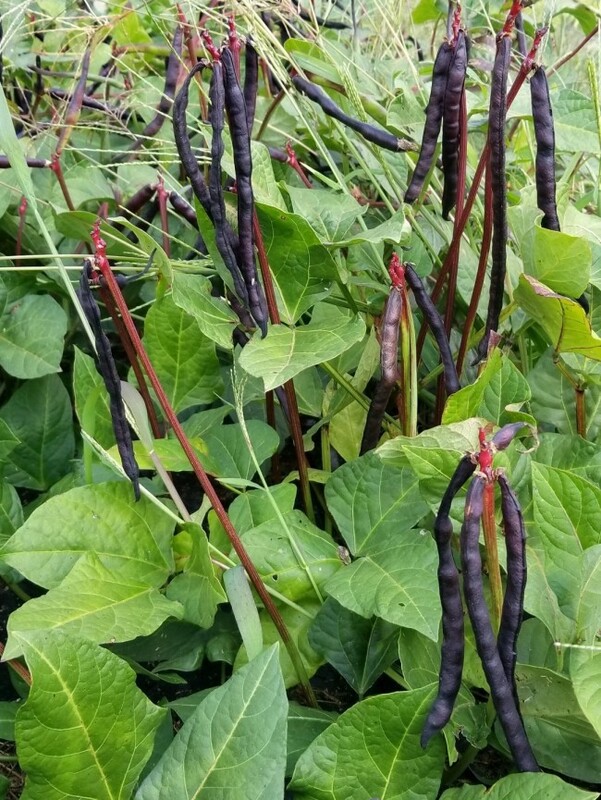 This early producing heirloom cowpea or Southern pea gives heavy yields of long purple pods on bushy plants. 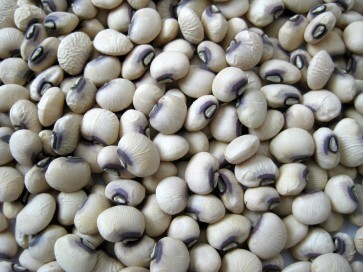 The pods contain creamy white peas with a pink eye. Southern cowpeas are part of a traditional Southern meal. 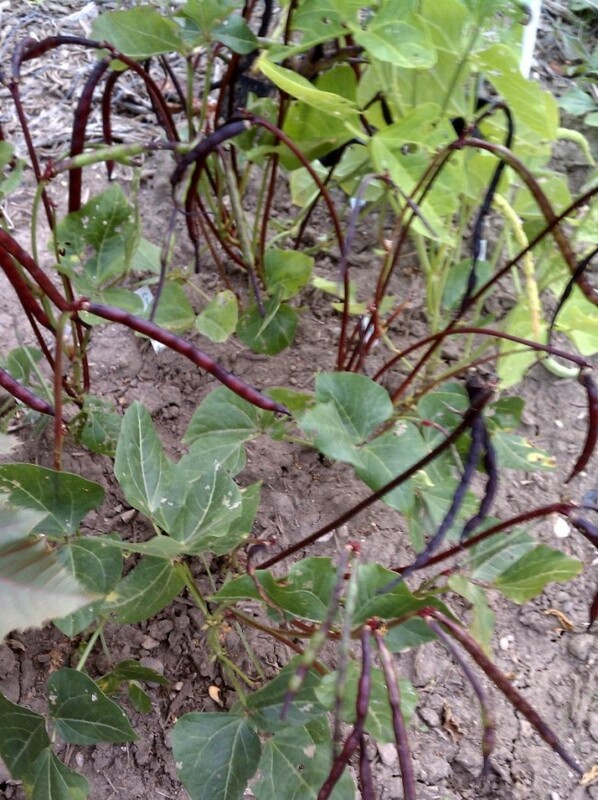 Mature pods grow in bunches for easy picking. The pods are green and purple when immature and turn purple when mature. Excellent drying and canning variety. Good disease resistance.